Contemporary art or Inuit art? As Canada’s premier international contemporary and modern art fair, Art Toronto has become appointment viewing for art enthusiasts since its inception in the year 2000. With more than 100 exhibitors, the show offers up a diverse range of styles from galleries, cultural institutions and individual artists around the world. Most notably, this is the art of today. This is where careers are made. It often offers a first glance at tomorrow’s most promising artists, as well as current work by contemporary favourites. Feheley Fine Arts has exhibited in Art Toronto since its inception. Nineteen years ago, it was not generally accepted that works by Inuit artists should be featured alongside other national and international contemporary artists. At that time, many saw Inuit art within the narrow constraints of its ethno-cultural roots – something set apart from contemporary art by artists from the rest of Canada and the world. Happily, this outdated attitude is long gone as contemporary Inuit artists, emerging or established, are now exhibited in the contemporary galleries of major institutions. The fact that curators from the Art Gallery of Ontario, Montreal Museum of Fine Arts, Art Gallery of Guelph and Musée d’art contemporain de Montréal all selected work from our booth reflects the role we play in the Inuit art ecosystem. 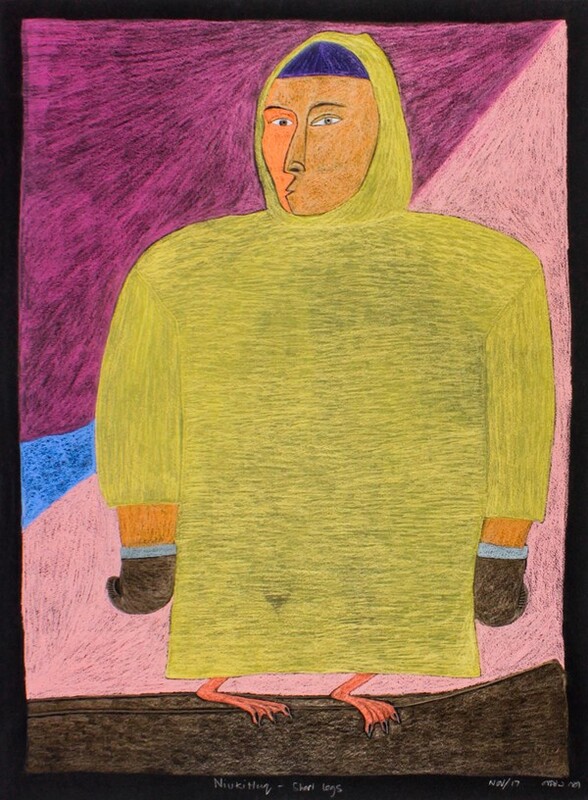 Today’s Inuit art reflects the concerns and issues of today’s Inuit artists – and the changing society around them. And while we continue to be privileged to represent the early masters of Inuit art, such as by Kenojuak Ashevak and Kananginak Pootoogook, we are always excited to bring a new flock of rising stars to Art Toronto, where they stand side by side with the best of contemporary art from all the world’s cultures. The mockup of our booth. Even better, check out the real thing. Please come and visit us at Booth C4 to see our 2018 exhibiting artists: Ooloosie Saila, Padloo Samayualie, Saimaiyu Akesuk, Shuvinai Ashoona, Ningiukulu Teevee and newcomer Quvianaqtuk Pudlat. 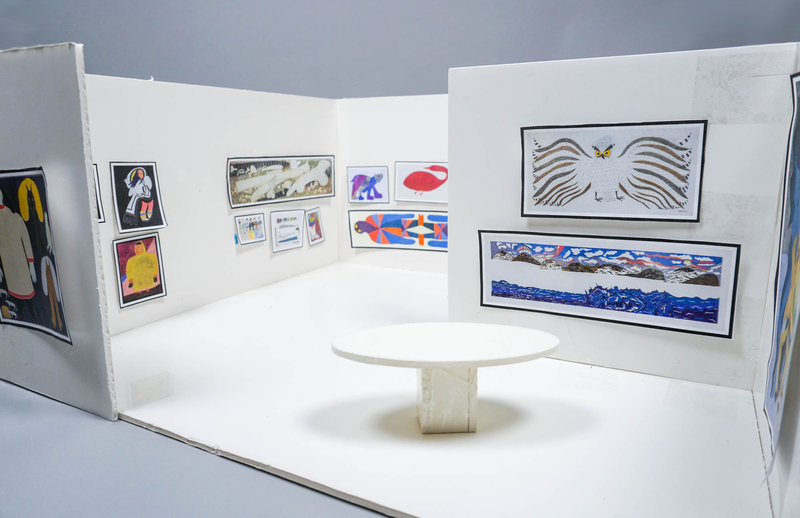 See for yourself how Inuit art has evolved – just like its audience. Art Toronto runs from October 26-29 at the Metro Toronto Convention Centre. The Art Toronto AGO Opening Night event will be at 6:30-10:00pm at the North Convention Centre, with a Collector’s Preview from 4:30-6:30.